These days cute and stylish lunch boxes and bags for kids and adults have become the norm. No more brown paper bags, when you can eat lunch in style. However many of these insulated lunch bags, plastic containers, and lunch boxes are full of harmful substances, such as BPA, Phthalate, Lead and PVC. Now with so many eco-friendly and non-toxic options, there’s no need to eat your lunch out of toxic vessel. A study done by the Center for Health, Environment and Justice (CHEJ, La Weekly 2012) found that many vinyl lunchboxes and other back-to-school items had high levels of phthalates. They stated that children are most at risk, since “their developing brains and bodies, their metabolism and behaviors make them uniquely vulnerable to harm from toxic chemicals”. These chemicals have been linked to various problems such as ADHD, birth defects, asthma, diabetes. Other studies have also demonstrated that substances such as BPA, PVC, lead are also dangerous for our health, causing disruptions to hormones, behavioural problems and linked to cancer. There are so many great brands making products that are eco-friendly and non-toxic. So here are some of the best ones I have found available to Australian consumers. I have previously written up a list of Non-Toxic Diaper Bags, Toddler and Grade School Backpacks that will complement your non-toxic lunch bags and boxes. Stay tuned for another post featuring more lunch box accessories, such as containers, water bottles and ice packs. Lunch box and Large Cooler bag both coordinate with SoYoung Large Ice Pack. Lunch Box can fit the Yumbox and LunchBots Bento Boxes.Large Cooler Bag can fit the two Yumboxes or two LunchBots Bento Boxes. Features: Made of Polyester, Mesh internal pocket to keep coolers, Top handle for easy carry option, Over shoulder carry strap, Large enough to fit a bento box, containers, reusable wraps and drink bottle. Free from BPA, PVC, Phthalate and lead safe. Can fit the Yumbox and LunchBots Bento Boxes. Features: exterior zippered pocket and mesh pocket; Fully insulated to keep contents fresh and protected; Exterior is made from 100% organic cotton with non-toxic waterproof coating for easy cleaning; Durable waterproof & food-safe liner inside, fully insulated to keep food fresh; Exterior zippered pouch & carry handle; Secure zipper closure; Can fit Yumbox Original and Panino. Free of Lead, Phthalate and BPA. US Company with ETI (Ethical Trade Initiative) certification. 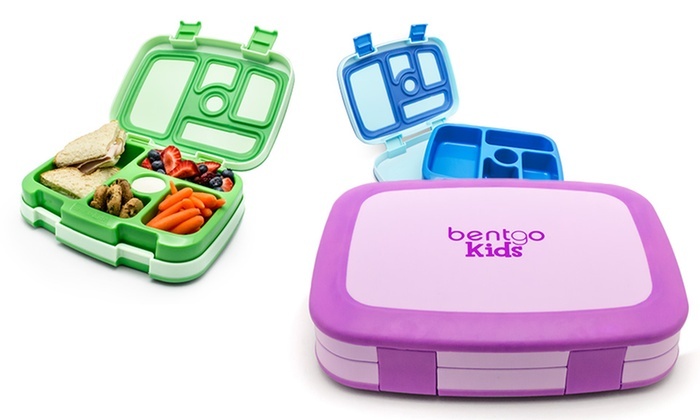 Lunch box can fit a Yumbox, a LunchBots bento box, a Goodbyn lunch box or several small containers. Features: Made from 100% cotton canvas with a biodegradable coating that decomposes without causing harm to the environment; comes with a zip opening, carry handle, external name tag, and inside; a velcro closed pocket to put your ice pack in; enclosed by food safe insulated silver fabric that will give you a sweat free experience inside the lunch bag. Free from BPA, PVC, and Nylon. Free from BPA, PVC, lead and phthalates. 100% FDA approved materials. Coordinates with the Goodbyn Hero or Bynto Lunch Boxes. Free of BPA, Phthalate and PVC, Lead-safe. Features: Roomy, insulated interior helps maintain food freshness; Heavy-duty stitching insures sturdy seams; Strong, custom-shaped metal zipper pulls easy for kids to manage; Fits our Bento Box and “Cozy Can” Water Bottle add-ons; Back zipper pocket for bake-sale money or ID cards; Write-on name tag on back; Machine-wash alone in cold, gentle cycle with zipper closed. Line dry. Free from BPA, PVC, lead and phthalates. Coordinates with the Beatrix New York Backpack and Beatrix New York Bento Box. Free of BPA, PVC and Lead. Features: Carries with a sturdy cord handle; Closes with hook-and-loop velcro; Sewn from GOTS-certified organic cotton in India; Machine wash, tumble dry; USA screen printed by green-certified business in California. Free from BPA, PVC, and Phthalate. Free of BPA and PVC, Phthalate and Lead. Tested for CPSIA and FDA compliance. Coorindates to fit LunchBots containers. Options and combinations. Free of BPA, phthalate, PVC and lead. A green company, Tested for CPSIA compliance. Deluxe Bag Designs: Black, Ziggy, Camo, Viva, Grey StripFeatures: Made from food-safe, eco-friendly non-toxic poly canvas & EVA – no PVC; New zip closure locks in cold, dry air inside lunch bag; Handle & adjustable buckle, zip closure & Velcro® secured flap; Buckle handle clips easily onto school bags and strollers; Foldable when not in use & can be stored inside your freezer. ; Built-in patented eco-gel liner, eliminating the need for ice cubes or toxic gel packs; Keeps contents cool for up to 10 hours (when fully frozen for 8-12 hours). Coordinates with Bentology Lunchbox & Ice pack inside, with an expandable front pocket for extra items and a side pocket for a drink bottle. Coorindates with two Goodbyn Heros or Byntos flat. Features: pre-portioned illustrated tray ; single leak proof lid; The tray which fits snuggly in the bottom half of the exterior box can be removed; Yumbox is dishwasher safe. (top rack only), Handwashing is recommended for the outer shell and/or removing it before the dry heat cycle. Not to be heated over 65c; Yumbox is perfect for kids up to the age of 10. Free of BPA and Phthalates. CPSIA and FDA compliant. Features: Multi-compartment containers for keeping foods separate; Lid and tray made of #5 Polypropylene; completely recyclable and should never end up as landfill; Dishwasher-safe, Top drawer recommended. Free of BPA, Lead, Phthalates and PVC. 100% FDA approved materials. Coordinates with Go Green Carry Case and Go Green Water Bottle, see set below. Features: Lunchbox is completely leak-proof with an easy to use lock on the outside which ensures a leak-proof seal for all 5 sections. Lunchbox can be recycled at the end of its life. Made of polypropylene (plastic grade #5) and uses silicone bands to keep food fresh. Free of BPA, Phthalates and Lead Free. Features: Five convenient compartments. The largest compartment is the capacity of 1 cup. Three mid-size compartments fit 3/4 cup, 3/4 cup and 1/2 cup of food each. The smallest compartment can fit 2 tablespoons of dipping sauces or a small handful snacks.The inner tray is both microwavable and dishwasher safe. Free of BPA, Phthalate and PVC . Free of BPA, PVC, Phthalates and Lead Free. Free of BPA, PVC, Phthalates and Lead. Free of BPA, PVC, Phthalates and Lead. Eexceeds all US and EU safety standards. Coordinates with Beatrix New York Lunch Box and Beatrix New York Back Pack. Coordinates with Magnets, Carry Bag and more. Features: Made of high quality 18/8 (300 SS) and 18/0 (400 SS, not 200 SS) stainless steel. It is food safe and will not leach toxic chemicals when in contact with food. Lid is attached. Dipper lid is made from silicone that conforms to U.S. FDA and Europe’s stricter LFGB standards, and is safe from toxic chemicals. Shuttle has 3 compartments & 1 dipper container. Holds about 3 cups of food. Rover has 5 compartments & 2 dipper containers. Holds about 4.5 cups of food. Launch has 3 large compartments & 1 dipper. Holds nearly 6.5 cups of food. Free from BPA, Lead, Phthalates & PVC. 100% FDA approved materials. Shuttle Dimensions: 19 x 12.5 x 5 cm. Rover Dimensions:: 25 x 19 x 3.75 cm. Launch Dimensions: 26 x 19.7 x 5 cm. Features: Lids and Containers are made of the highest quality food-grade 18/8 stainless steel with no linings, Best for solid food, LunchBots are not water tight; Dishwasher safe. Free from BPA, Lead, Phthalates & PVC. Tested for CPSIA, FDA and LFGB compliance. Trio 1 1 x 180 ml, 2 x 210 ml; Trio 2 1 x 300 ml, 2 x 150ml; Bento Trio 1 x 480 ml, 2 x 240 ml. Free of BPA, Phthalate and Lead. Free of BPA, Phthalate, PVC and Lead. BPA-free, vinyl-free, PVC-free and lead-free. Lunch Box Features: Lunchbox is completely leak-proof with an easy to use lock on the outside which ensures a leak-proof seal for all 5 sections. Lunchbox can be recycled at the end of its life. Made of polypropylene (plastic grade #5) and uses silicone bands to keep food fresh. Carry Bag Features: Insulated carry bag is made from PEVA and polyester and features a bright pattern on the outside, and a pocket to hold reusable napkins and cutlery on the inside. Inside of carry bag has a small white board for notes and reminders. Water Bottle Features: 235ml stainless steel water bottle is BPA free and is a great alternative to single-use disposable juice boxes. The ice pack is non-toxic and FDA-approved and will help keep food cool during the day. Reusable. Ice Pack Features: non-toxic and FDA-approved and will help keep food cool during the day. Reusable. Kit Includes: a stainless steel lunch box, magnets, insulated carry bag, and one or two dippers (leak proof containers). Free from BPA, lead, phthalates and other harmful chemicals.